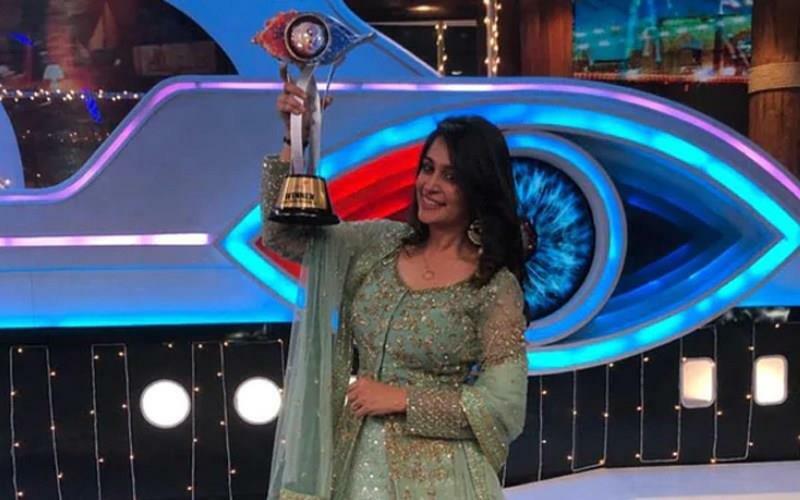 New Delhi, Dec 31: After a three-month long battle inside the Bigg Boss 12 house, TV actress Dipika Kakar defeated former Indian cricketer Sreesanth to bag the reality show trophy on Sunday. Talking to TNN, an overjoyed Dipika said, "I am on cloud nine. I thank my fans for making me win this show. Without their support, this would not have happened." Dipika, who first shot to fame with her enthralling performance in "Sasural Simar Ka" also thanked the Almighty for the achievement. The actress said she has planned out to visit "Ajmer Sharif" before heading home. "I am a believer of God. Before coming to 'Bigg Boss', I promised myself if I win the show, I shall offer prayers at Ajmer Sharif, Now that I have won the show, I will go there for sure," said Dipika, who received a cash prize worth Rs 30 lakh and a trophy by host Salman Khan. She also praised Salman for being the "kindest" host. She said he helped her in improving her mistakes throughout the show. "Salman sir is one of the kindest person. Every weekend he used to come and tell us where we are going wrong in the show. He taught me many things," the 32-year old told IANS. "And my dream came true when I performed with him in the grand finale episode. That was a fan girl moment for me, will miss him especially his scoldings," she added. Dipika gave a strong competition to former cricketer and co-contestant Sreesanth, who turned out to be the runner up of the show. "No doubt, bhai (Sreesanth) was my stronger competition but I never considered him as a foe and never felt that I have to win against him." While talking about her journey, Dipika said it was full of high and low moments, which she would like to cherish forever. She feels that her patience level has increased multifold after having stayed in the "Bigg Boss" house for 90 days. "This show has tested my patience and has made me so strong that now I won't hesitate to fight any obstacle. My patience level has increased so much , I hope i would fight less with Shoaib Ibrahim ( her husband-actor),"Deepika laughed. Besides Dipika and Sreesanth, Romil Chaudhary, Karanvir Bohra and Deepak Thakur were the other three contestants who made it to the top five finalists' list.